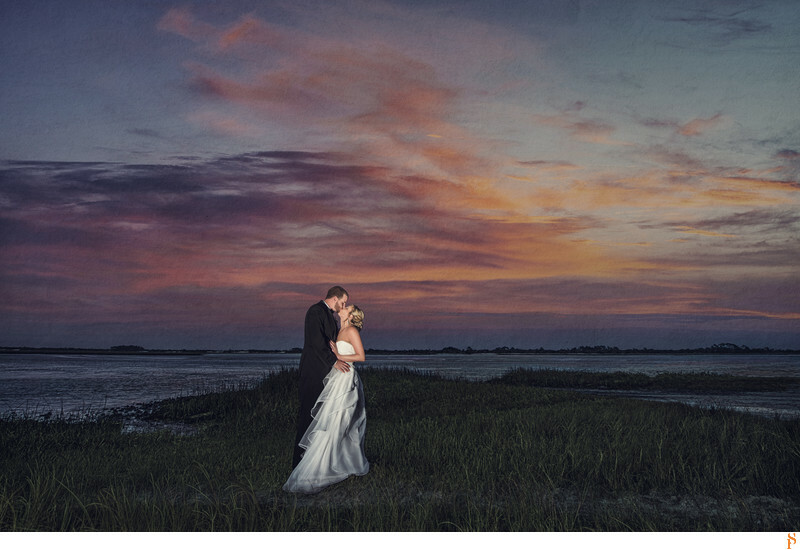 Couple at sunset at the Ribault Club with a purple sunset sky. The sunset was so gorgeous that day in Fort Caroline. Location: 11241 Fort George Rd, Jacksonville, FL 32226.